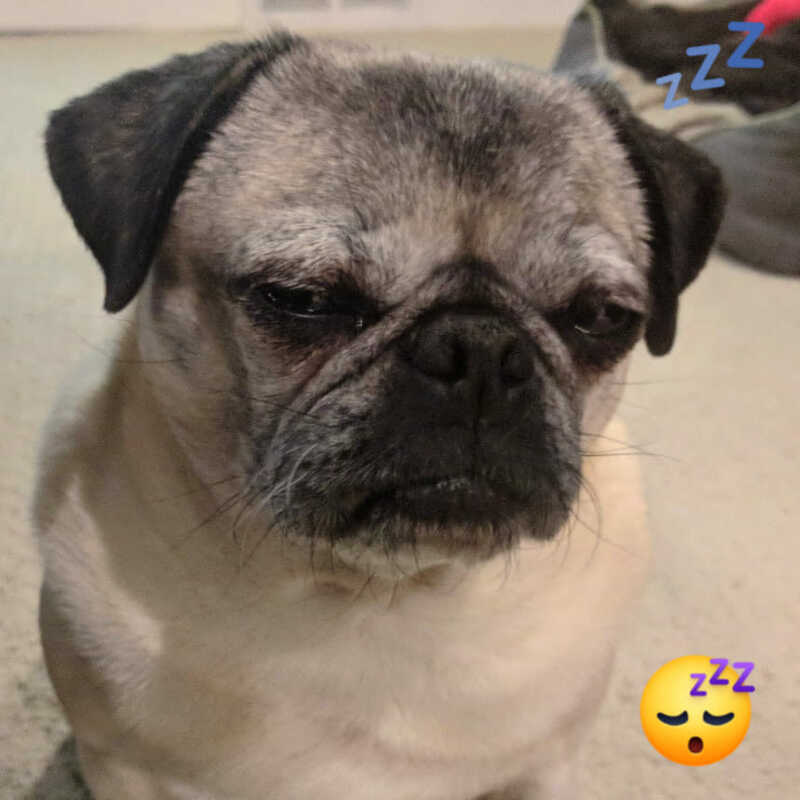 Nickie the pug is busy today getting all her beauty sleep! 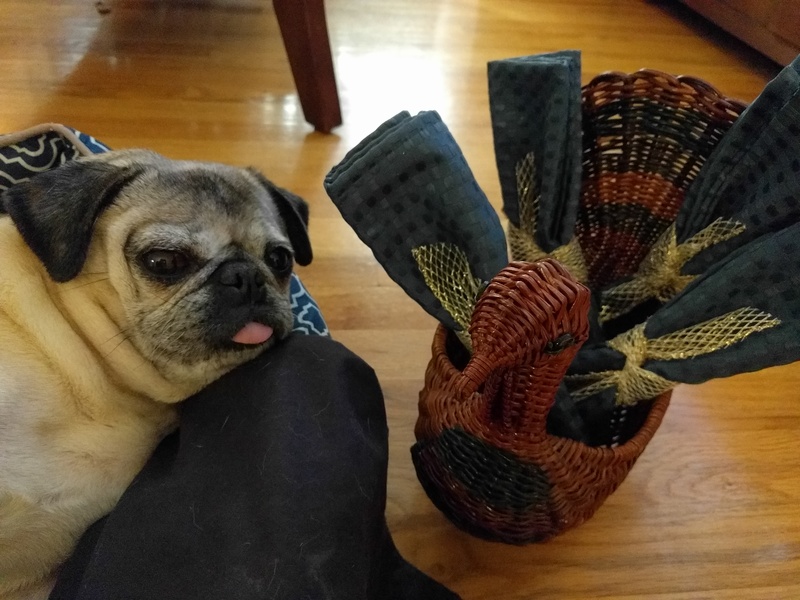 It’s almost turkey time!!! 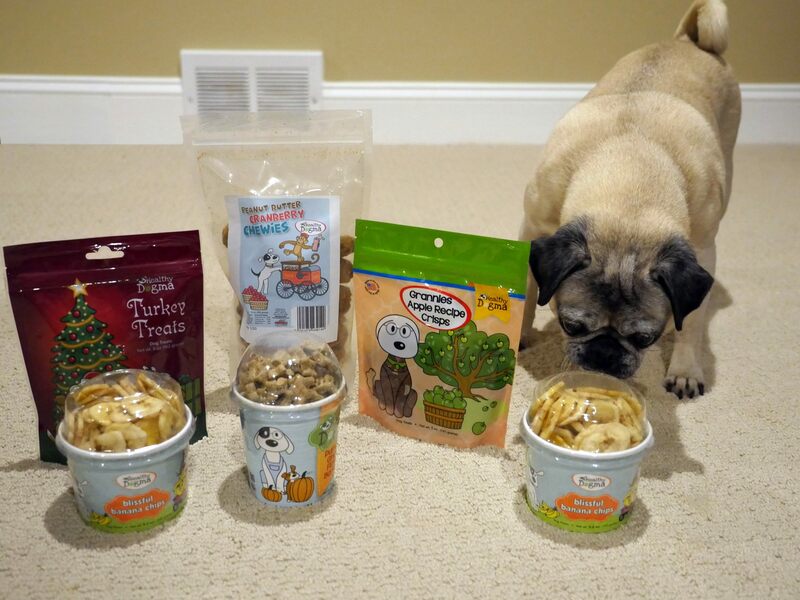 Nickie the pug can’t wait to dig into a big bowl of Thanksgiving dinner. 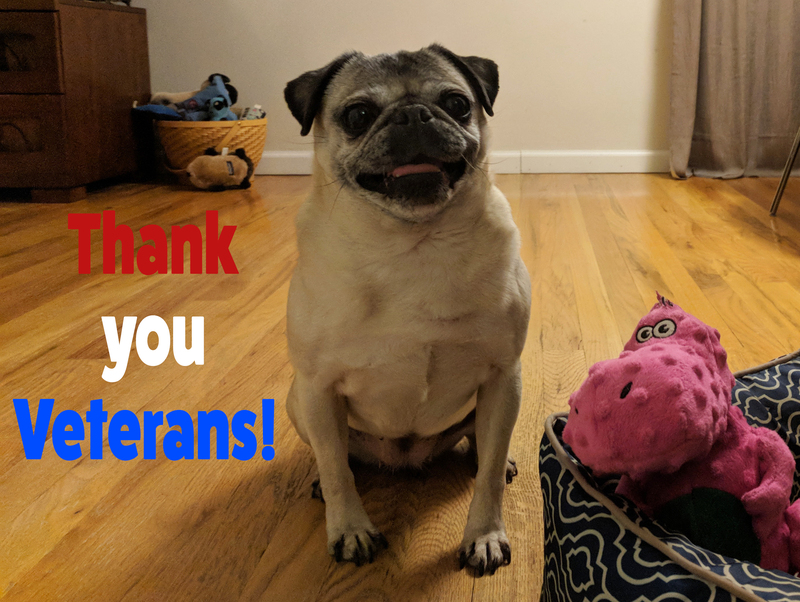 We hope all of our pug friends out there are having a wonderful day full of friends, fun, and fantastic food! 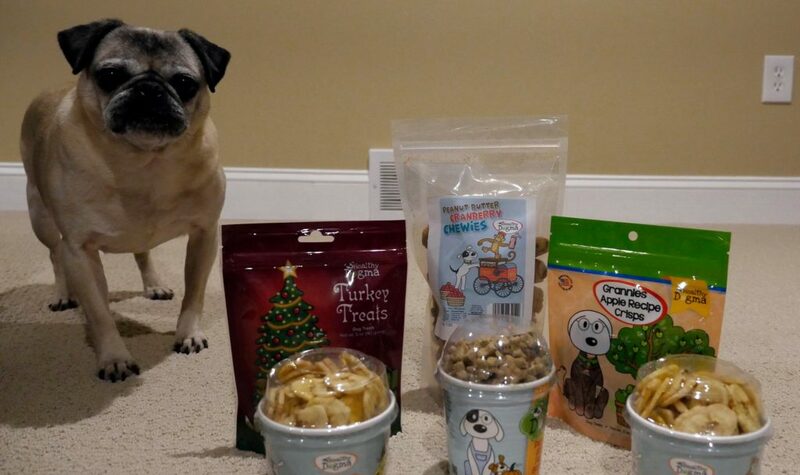 It’s treat testing time with Nickie the Pug! 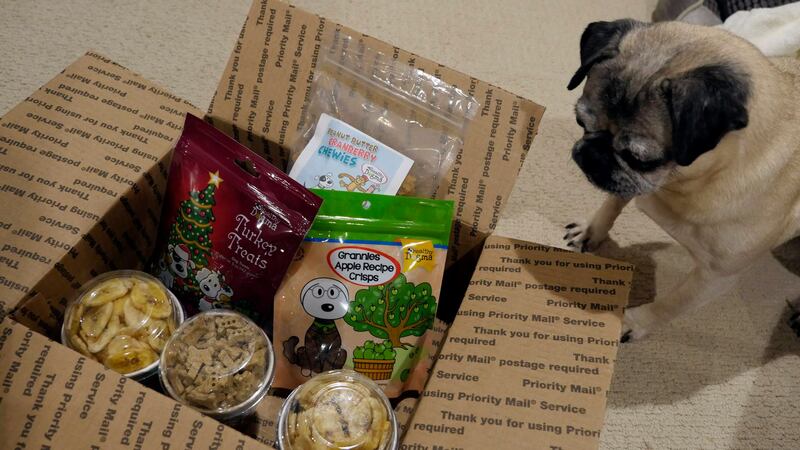 Nickie the pug is on a mission to find more great treats for Pug Box! 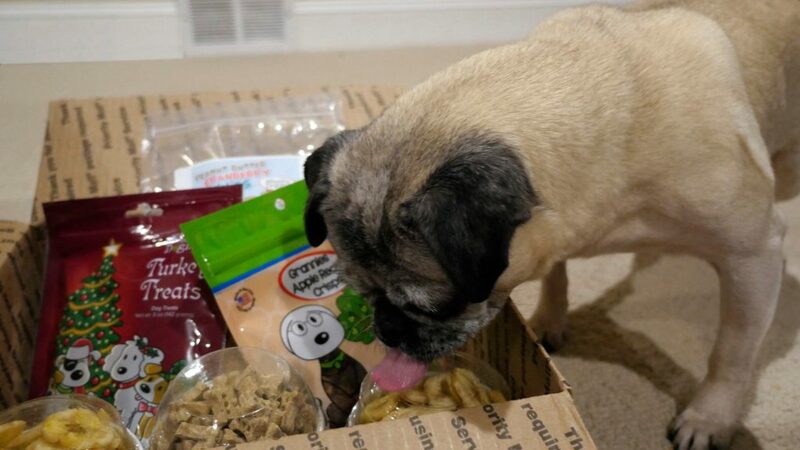 She’s excited to dig into these sample treats from Healthy Dogma! 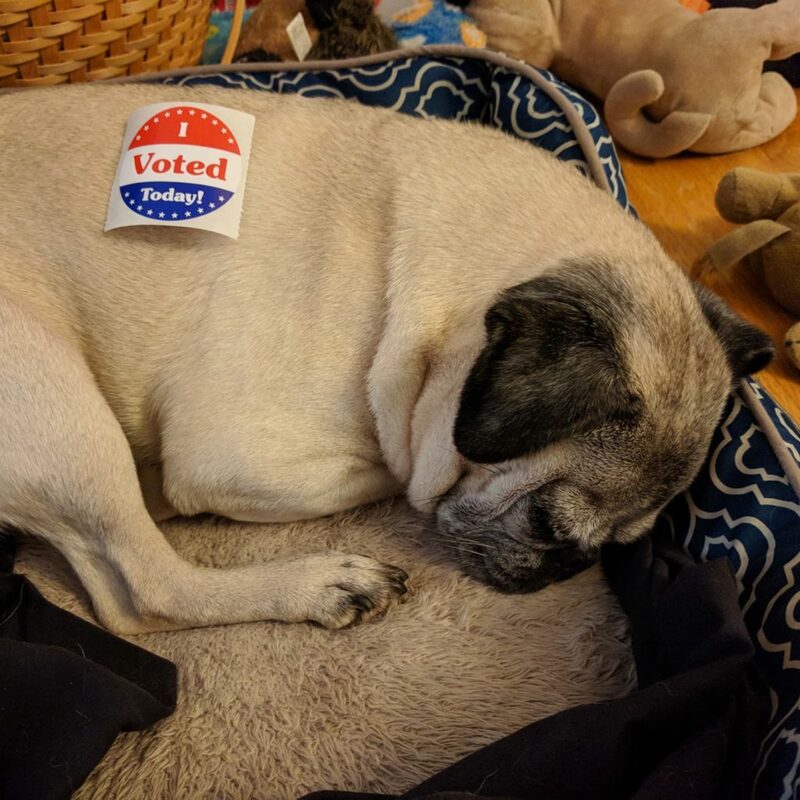 Nickie the pug is on camera strike! This face from Nickie the pug says it all! 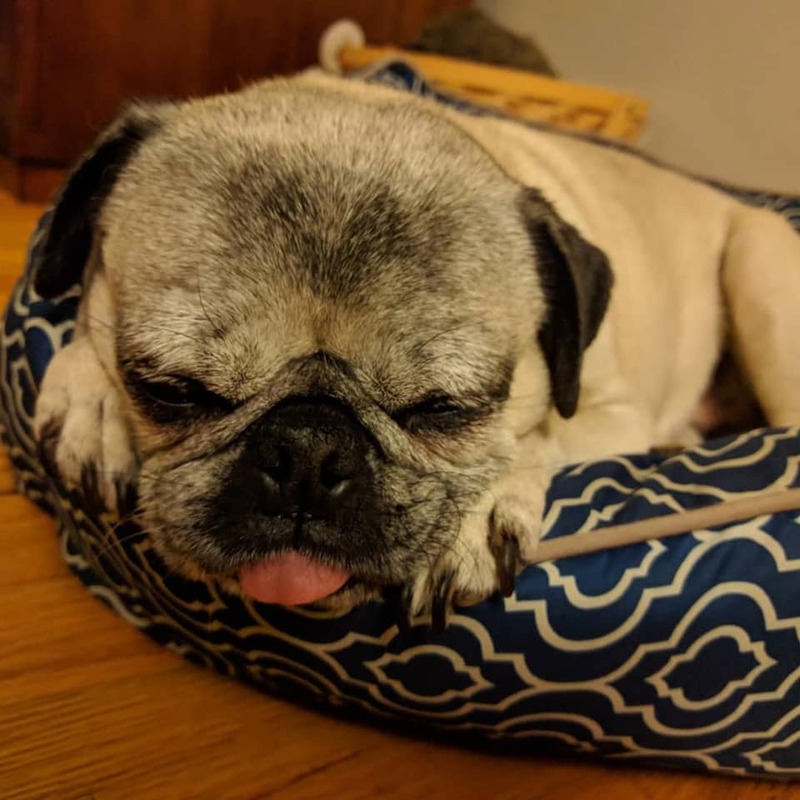 She’s definitely not alone in struggling to keep her eyes open this afternoon. We’re getting ready to make an early afternoon coffee ourselves! 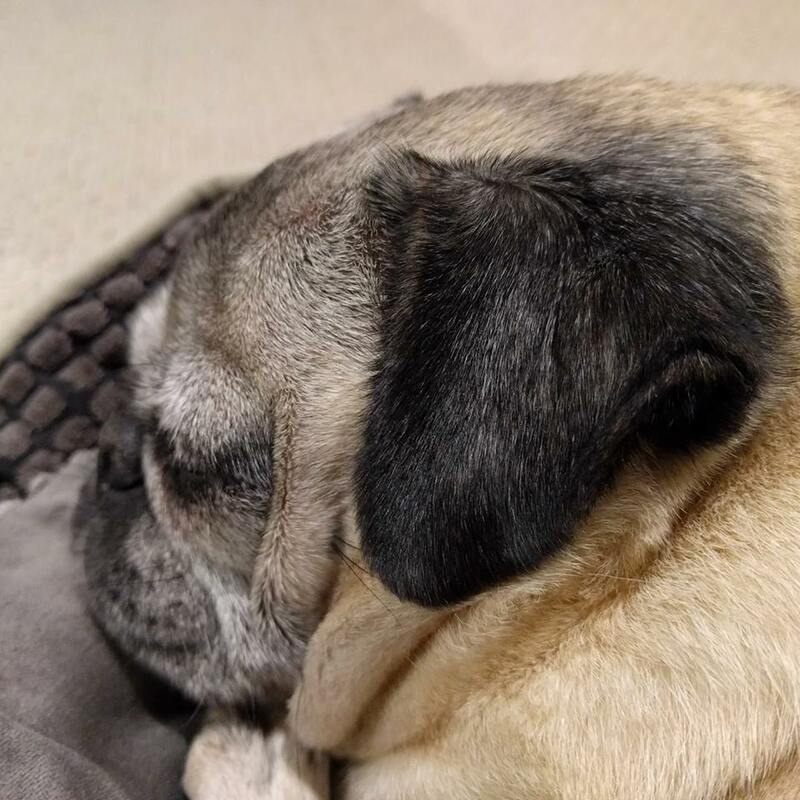 Cuddle time with Nickie the pug! 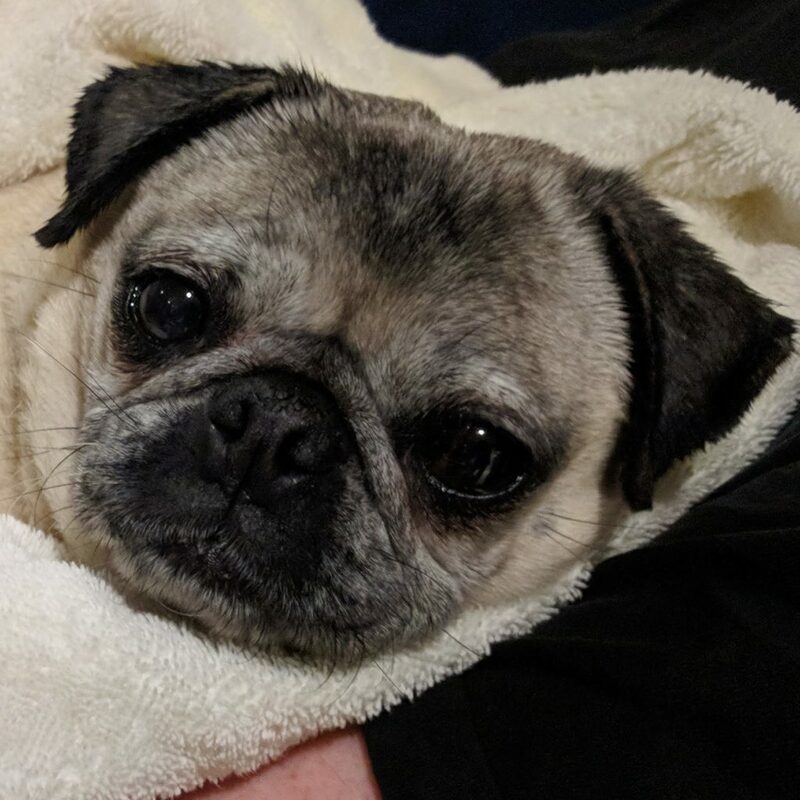 Nickie just had a bath, so she is fresh, clean, and ready to cuddle! She does okay in the bathtub, but she absolutely loves getting treats and being snuggled dry by her family afterwards! 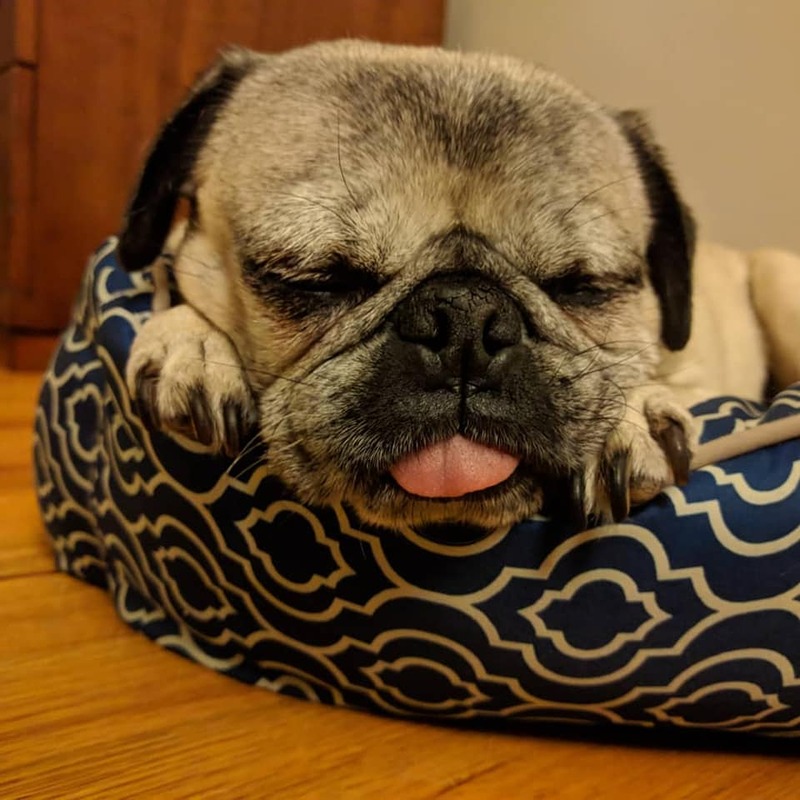 Wake me when it’s the weekend!